Slash commands are shortcuts you can type into the message input box to perform an action. Just type "/tettra" to see a full list of slash commands for Tettra. What are the Tettra Slash Commands? One of the hallmarks of a good documentation tool is putting your team's knowledge in the places you already spend your time. We integrate with Slack messenger to put your shared knowledge at your fingertips as you need it. You can use Tettra's slash command within any of your conversations. That includes channels, 1-on-1 conversations, and direct message groups. Anywhere you're using Slack you can search across your wiki with a slash command. The slash command for Tettra is /tettra. To search using the slash command type in /tettra find and add any relevant keywords. A good example is "/tettra find bug workflow". Tettra will then search through page titles and content (including tables and file attachment names) and display any results containing "bug workflow". You can use the Share with Channel button to insert that page into the message thread. If the page you were searching for isn't returned you can click the hyperlink to "view all results" in the web app. It's important to know the results of your search are only visible to you, so you won't clutter your conversations with your searches. Create page drafts in Tettra right from Slack. Click Edit draft to jump to the page editor to write your content for the page. If you have a question you'd like an answer to, you can make a suggestion for a page to be written from Slack. If you know a specific user who might be able to answer the suggestion, you can use the following to create the suggestion and assign it in one action. 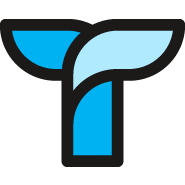 Display a list of the Tettra slash commands inside of Slack. Help is the default command for Tettra. If you use any other words besides "find" and "new" as your command word, the list of commands will display in the stream. If you run into any difficulties with the Slack slash command, take a look at our slash command troubleshooting resource to reset your Slack permissions.